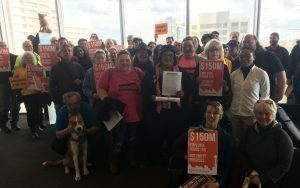 On Wednesday, March 14th, members of Housing For All filled Council Chambers and delivered a letter signed by fifty organizations to the City Council and Mayor Durkan. That same afternoon the Progressive Revenue Task Force presented its final report, recommending major investments in new deeply affordable housing, shelter, and services: $150 million per year in new progressive revenue, with $75 million coming from an Employee Hours Tax on large businesses. What’s next? Over the coming weeks, Councilmembers Lisa Herbold and Lorena González, who co-chaired the task force, will be drafting legislation. 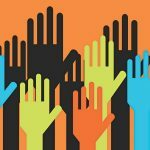 TRU and Housing For All will be working hard to win the votes of at least six councilmembers. Stay tuned for alerts of council meetings and public hearings, and attend our next Action Meeting on Saturday, March 31st. We aim to pass this legislation through full council by mid-May!